To view the BAAB Background Screening Policy for all managers and coaches, click here. Set a good example. Children need a coach that they can respect. 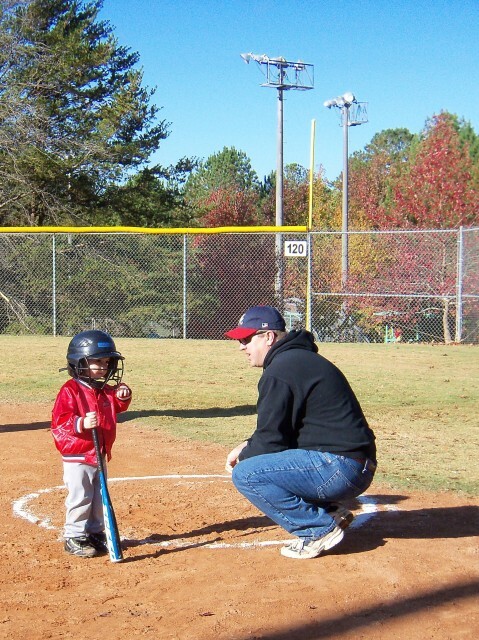 Ensure that your players' baseball experience is one of fun and enjoyment. Players should never be ridiculed or yelled at for making mistakes or losing a game. Be generous with your praise. Find something positive to say about each player after every game. Be reasonable in your demands on the young players' time, energy, enthusiasm, and performance both in practice and game situations. Impress on your players the need to abide by the rules of the game at all times. Develop team respect for the opponents, the opposing coaches, and the judgment of the umpires. Check the equipment and facilities you use to make sure they meet safety standards and are appropriate for the age and ability of your players. Keep informed about sound principles of coaching and the growth and development of young children. Enlist the support of your team's parents in your efforts to instill the proper attitudes and values in the players. Remember that our children learn by watching the actions of the adults in their lives. If you would not want a child doing what you are doing, then you should not be doing it. Good sportsmanship doesn't just happen...it must be constantly taught, encouraged, and demonstrated. One of the greatest rewards in life may very well be that of parenthood. Having the chance to watch your children grow from demanding infants, to demanding teenagers, to mature and stable young men and women may be life's greatest compensation. Perhaps second to that honor, is the distinction of being a youth athletic coach. Once you make the decision to coach, you instantly create a responsibility to many and dive headfirst into a situation that you may not know how to handle. In coaching today's youth, the first thing to remember is always be yourself. You probably know the best lessons to teach, but the problem is that most of us do not remember what it was like to be 7 or 8. Imagine being taken from the safety of your backyard with your parents, and placed on a field bigger then you had ever imagined, and with a group of total strangers. Try to see yourself through those innocent eyes, so eagerly watching your every move. The simple concept of being a good person with the kids is what coaching is all about. Get down to their level and make them feel comfortable. Make sure they never feel like they will be swallowed up by their mistakes, as they tend to turn their backs and hide any talent they may have in such a situation. Above all, make coaching challenging for yourself and fun for the kids. Always remind them that this is a game and it must be fun to play. Your goal is to make baseball fun for the players. That is a lofty goal, but is one that you must strive for. Do not get too technical with younger children. Yes, you must teach the basics, but do it in a way they can understand. For instance, when you teach how to field a ground ball, use the alligator method. Never teach the technical way to field grounders, as you would do for a teenager. The alligator will accomplish the same thing. "The alligator has a big mouth and we use our hands like an alligator. The glove hand is the bottom and the throwing hand is the top of the mouth." Young kids can relate to this type of learning. Never scold or criticize in front of the entire team. Take a child aside and show them what they did wrong. Always start out by praising the player, and then explain what they did wrong. Once you have done this, always finish with a positive statement. No one, especially a young child, needs to constantly hear negative criticism. Always emphasize the need for a parent-player-coach relationship. As a coach, be a leader, a role model, a doctor, and a friend to the players. Don't try to be the player's "buddy"...you are in charge and should act as a teacher would. To the parents, be the boss but also someone they can trust with their children. As a coach, your job is to reward them with high fives, hand shakes, words of encouragement, and above all, smiles. When a player gets hurt, be the first to their side. Make sure they know you care. Be sure to make practice fun, and games competitive only to the point of competition itself -- never for the sake of winning at all costs. Good luck with your coaching. You will have countless memories to be thankful for in the future because you have embarked on a great journey. You will never regret taking the opportunity to coach children. It is one of the greatest satisfactions and thrills you will ever have.